It’s not like Hong Kong needs more tourists. In the first half of the year almost 29 million tourists arrived in the city, 76 percent of them from Mainland China. Mainland visitors have a propensity for power shopping that is so strong that local critics are saying their preferences are turning the destination away from its traditional attractions and reshaping the city. What to do? The HKTB may be angling to restore more traditional markets in order to maintain what was their old identity for tourists. The U.S. market last year slumped to about 1.1 million visitors and while the numbers aren’t in yet for 2014, it seems that the HKTB is looking first to other short-haul markets to add some balance to the overwhelming mainland visitor mix. To do that, the HKTB seems to be taking a page out of London & Partners’ “see the city like a local” marketing strategy. They’ve begun promoting in Asian markets under a new campaign platform, “My Time For…” The campaign highlights the urban and yes, rural, activities available in Hong Kong under the platform as in “My Time for Indulgence,” or “My Time for Renewal” or “My Time for Urban Escapes” and so on. So far, we haven’t seen this approach in the U.S., where the marketing requires a stronger experiential angle. A few years ago, the HKTB was marketing more experientially in the U.S. by offering tours by such insider figures as Feng Shui masters, antique buyers, and others. One such insider place that locals flock to is the Sha Tin Race Track in the New Territories. The New Territories of Hong Kong are located between Kowloon and the Chinese border. 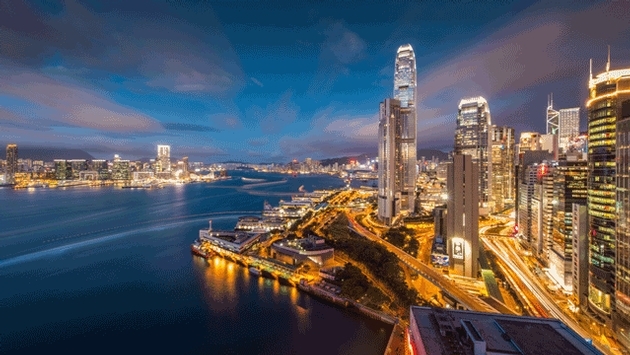 It’s a relatively undiscovered area for most American visitors to Hong Kong and yet there’s a lot to see and do out there, from the natural beauty of Asia’s biggest bird migration station at the Mai Po Marshes and the Hong Kong Heritage Museum to one of Asia’s most famous horseracing tracks, Sha Tin. The New Territory’s town of Sha Tin, home to just under a million people, has been popular with Hong Kong’s devotees of the sporting life since it opened in the 1970s, but it’s really become hot in the last few years. Sha Tin’s recent surge in popularity has spawned a multi-phase transition designed to give it an identity separate from Happy Valley’s traditional style. Happy Valley opened on Hong Kong Island in 1845 as a showcase for British Colonial gin drinkers in white linens. Such British traditions in Hong Kong as Happy Valley or High Tea at the Peninsula are cloaked in a kind of sanctity that a younger generation of Asian travelers may not respond to. At Sha Tin, they’re adding customer-centric venues to appeal to a younger group of racing fans. It seems to be working. On the first day of racing last year, Sha Tin attracted 66,000 people, their best numbers in 20 years. Recently the old track added a new area entitled the Hay Market. The Hay Market is a horse-shoe shaped area installed over two mezzanine floors at Grandstand II. The façade has ceiling to floor windows providing a fine view of the races. The British spirits are mollified with imagery suggesting an English country day at the races. Destination Asia features two excursions to Sha Tin and the New Territories. The Heritage Tour explores the cultural and ethnic roots of Hong Kong in the area’s town and villages, but for horse racing fanatics, the Come Horse Racing Tour is the best call. This package gives you the option of a day of racing at Sha Tin or an evening at Happy Valley, another track located on Hong Kong Island, which opened in 1845. From Sha Tin you can also board the Northeast New Territories Islands Hopping Tour, a scenic boat trip to a Hakka walled village on island of Lai Chi Wo. It also visits an ancient Banyan deemed “Tree of Love” on Crooked Island, and lunches at a fishing village on Grass Island. Hong Kong’s Wetland Park features 70 walking trails lined with hides for watching the birds in Asia’s top birding site. The 539-room Courtyard by Marriott Hong Kong Sha Tin makes for a good headquarters for exploring the New Territories and playing the ponies at Sha Tin. It’s located near the MTR Shek Mun Station. Hong Kong is one of those places that you can miss if you think you already know it. The Mai Po Marshes, the Heritage Museum and the wealth of interesting towns and villages are not obvious recommendations and yet they add a completely different dimension to a visit to Hong Kong. The Hong Kong Tourist Board’s Hong Kong Specialist program is designed to help agents know and sell the destination better. Sha Tin and the New Territories is just the kind of special extra that clients will regard as inside experience thanks to their travel agent.